The more technology develops more and more people want smart so they buy books in large quantities separately add their knowledge in preparation for the future, and the culture of reading is the human brain in order to maintain health in order not stupid and senile.For things that they need a bookcase and as the importance of keeping the books in order to stay safe required a strong cabinet for long periods of time, which is free from fleas and water resistant and sturdy.Ajisaka's bookcases are the most suitable furniture for your reading activities. Although with your own design we will make sure your piece will look and feel incredibly surprising. Take a browse from our readily collection, take your measurement of your rooms, discuss with us and we will build your design with your full supervisory advise. Ajisaka always feel proud for these unique, unusual, and expertly hand crafted in which they take something mundane and functional and make it so very special. n many homes, the bookcases are used as a room divider. This gives the house a truly luxurious look. 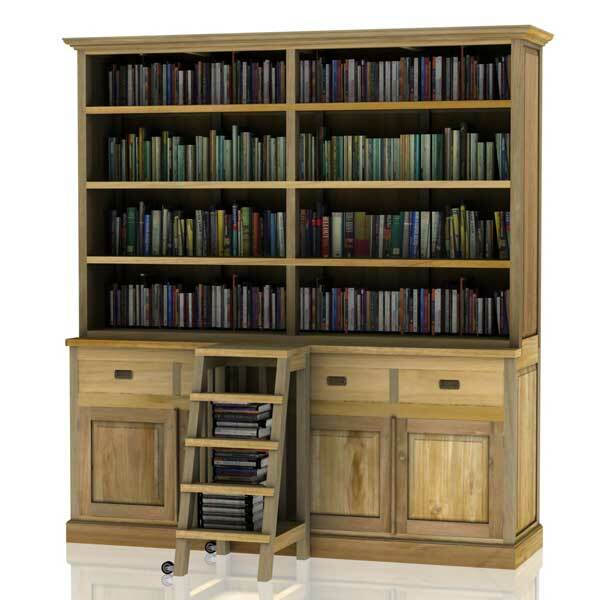 These are double the storage units in which you can display your books and other curiosities on both sides. The dividers are made of teak, look really elegant, while others are made from a combination of materials such as rattan, wrought iron and glass.This piece of furniture is more suited for smaller rooms, as it allows you to store your books, magazines and CDs in the bookcase. The other things that could keep you here, could be a clock, telephone, digital photo frames and potpourri, if you stand on aromatherapy. These headboards can from different types of wood, including teak, are made.